Home Pageantry ATTENTION! 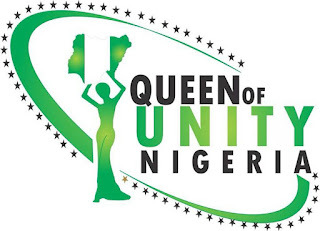 Queen Of Unity Nigeria Pageant Holds Abuja Audition Today! ATTENTION! 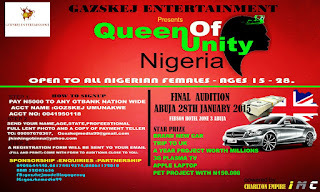 Queen Of Unity Nigeria Pageant Holds Abuja Audition Today! 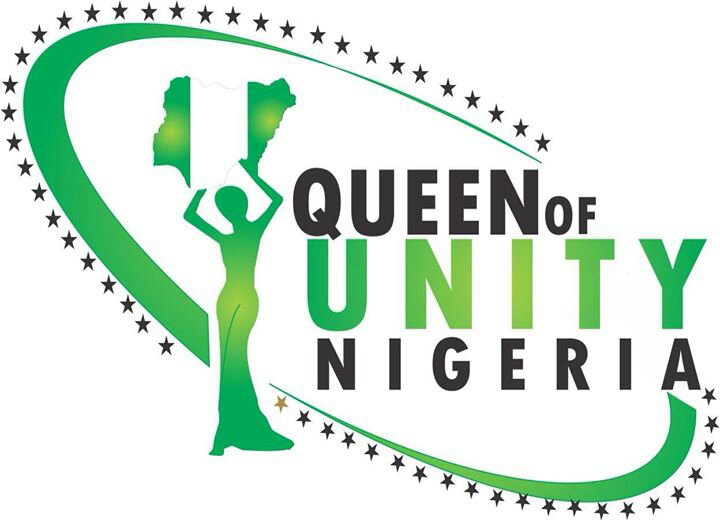 IS HAPPENING Today AT FEBSON HOTEL. 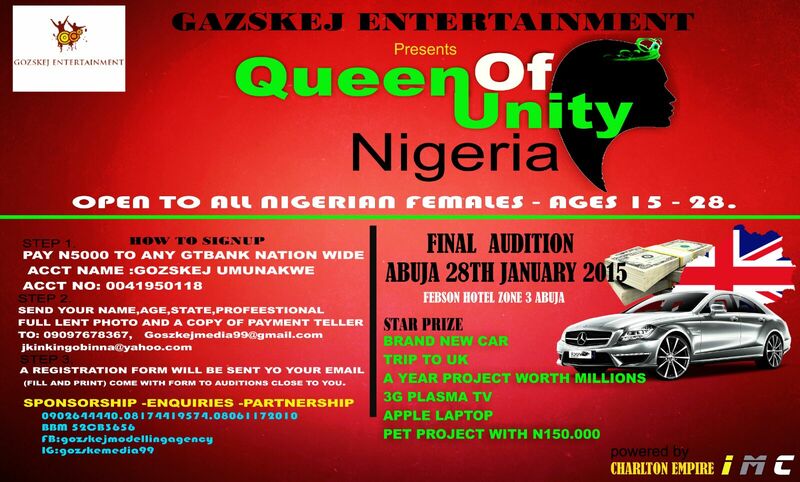 Are you bold, smart, intelligent and outspoken! Come along with their Tellers for auditioning. White tankTop,black Bump Short,heels, and 2 party gown for your after party.